Martins Bay offers a welcome coastal escape only an hour north of central Auckland. 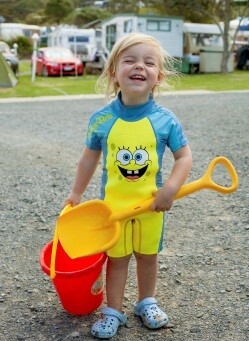 Located on the edge of a long stretch of sandy beach Martins Bay offers safe swimming, beautiful views, and brilliant fishing with Kawau Island and the Hauraki Gulf at your doorstep. Our closest towns are Warkworth, Matakana and Snells Beach. We're open 8am to 8pm daily. We sell cold drinks, ice-creams, bags of party and salt ice and a good range of fishing bait from reception. 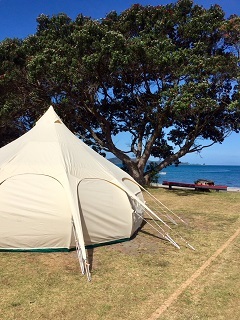 Camp in style in one of our beachfront caravans - Kereru, Dotterel or Pukeko - or if you have lots of friends the Family caravan sleeps up to 9 people! Martins Bay Holiday Park has a great range of accommodation options and sites to choose from, including 2 self-contained tourist flats (one right on the beachfront, one up on the hill), ensuite and standard cabins or the classic caravans with awning. You will find much more than just the basic camping facilities here to make your stay as comfortable as possible.